I couldn’t understand a word that Brother Yun said, but I recognised the power of Jesus in what this Chinese Christian said. His Dutch friend translated for him as he told the incredible story of how he has been saved and used by Christ to spread the gospel in his home province of Henan, China and the rest of the world. I had taken a couple of friends to Kingsland Church, Colchester, Essex, to hear the heartrending story of this Heavenly Man’s conversion, persecution and imprisonment. The air was still with the Holy presence of God as this anointed servant of the Lord gave his testimony. You know how you know in your heart of hearts when someone is telling the truth? It stirs something in your soul that recognises it and I recognised something special was taking place here. Heads were bowed by the conviction of the Holy Spirit or lifted up praising and thanking the Lord. 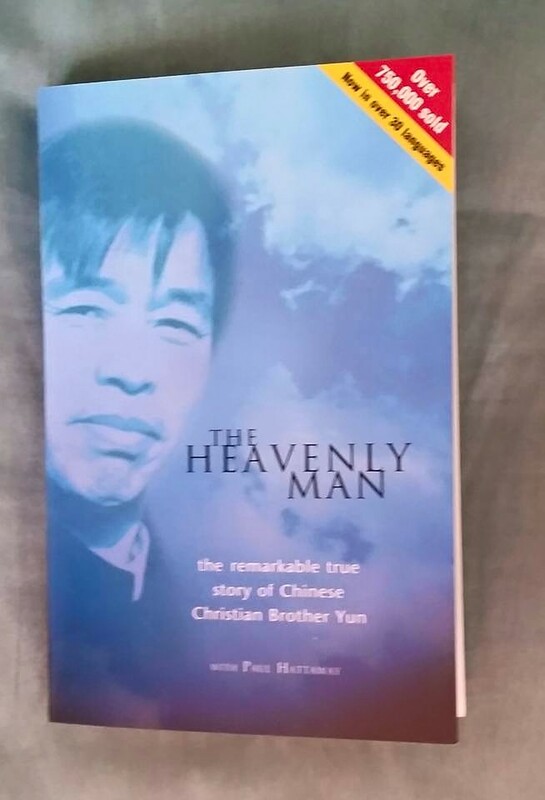 Brother’s Yun’s radical testimony is written in his book ‘The Heavenly Man’ which is co-written by Paul Hattaway. 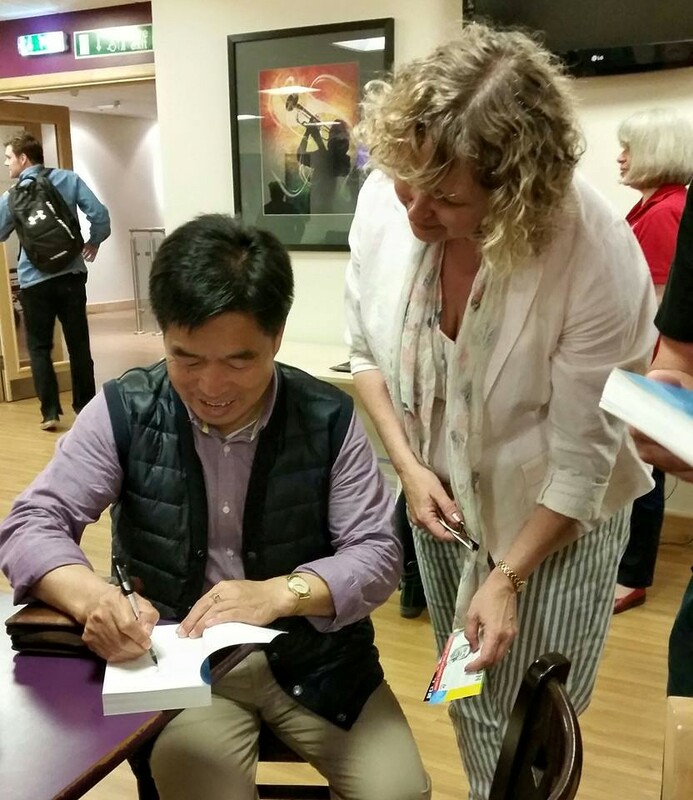 I felt led to buy Brother Yun’s book ‘The Heavenly Man’ and asked him to sign it. When you taste good food, all of your senses tell you that what you are eating is good. In the same way, when I read this book it resounded with spiritual truth. 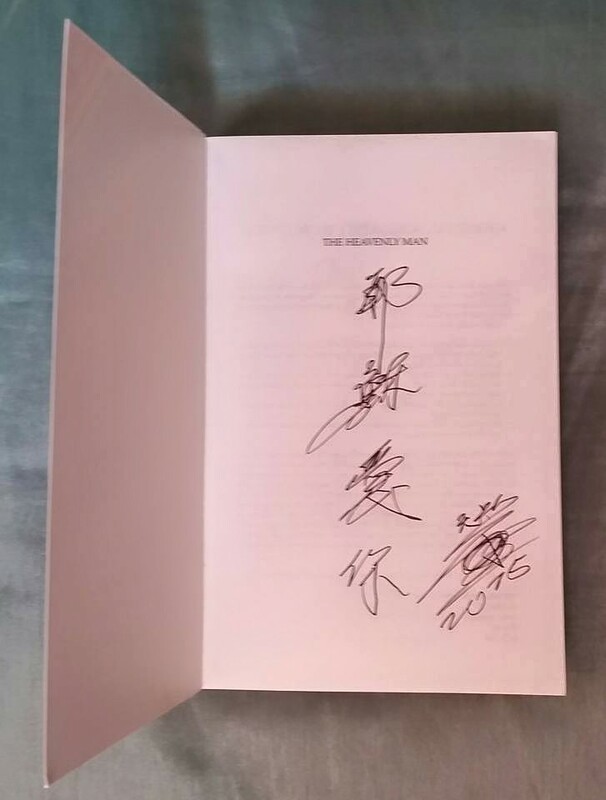 Having given my heart to the Lord several years ago, I felt led to make a fresh commitment each time I opened ‘The Heavenly Man’. 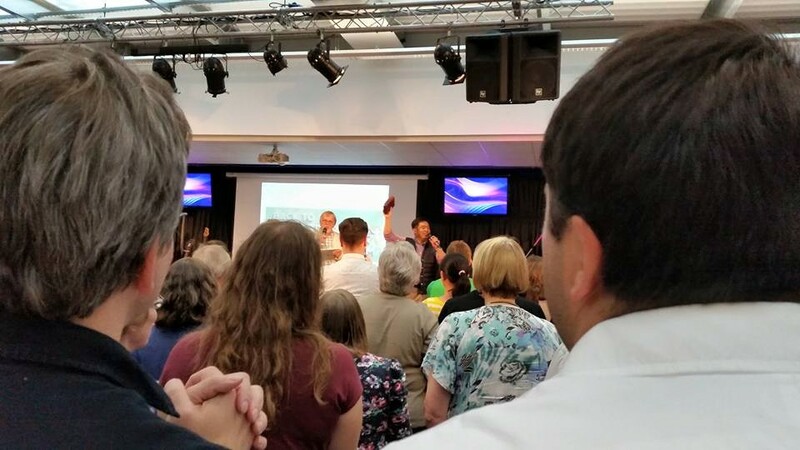 As I read about the half-starved boy who heard God’s voice tell him to preach and soaked up the story of how he was mightily and powerfully used by God while undergoing horrific opposition, astounding suffering in prison and personal sacrifice, I felt challenged and realised my own flesh had grown fat but my spirit was thin and made amends. Brother Yun is one of China’s house dedicated church leaders who has spent seven or more years in prison because he believes in the Lord Jesus Christ and wanted to tell others about him. Despite suffering severe torture, he focused on the Lord who carried him through his ordeal. The experiences described in this book read like a modern day version of Acts. If someone told you a man had survived 74 days without food or water you would probably not believe it, but in the context of this book you know that every word by Brother Yun, with Paul Hattaway, is true. Jesus only fasted for 40 days and nights, but Brother Yun felt led to go on for longer and supernaturally survived. And just as Peter was set free from prison, Brother Yun miraculously walked free from Zhengzhou Maximum Security Prison in Henan in 1997, despite having his legs broken and badly beaten until they turned black deliberately so that he could not escape! I praise God for Brother Yun and his book. I praise God for Brother’s Yun’s mission to spread the Gospel along the Silk Road from China to Jerusalem and I am now committed to praying for it. This entry was posted in Advice for new Christians, Book Review, Challenges, Mission and tagged 'The Heavenly Man', book review, Brother Yun, Christian, direction, Encouraging, testimony. Bookmark the permalink.